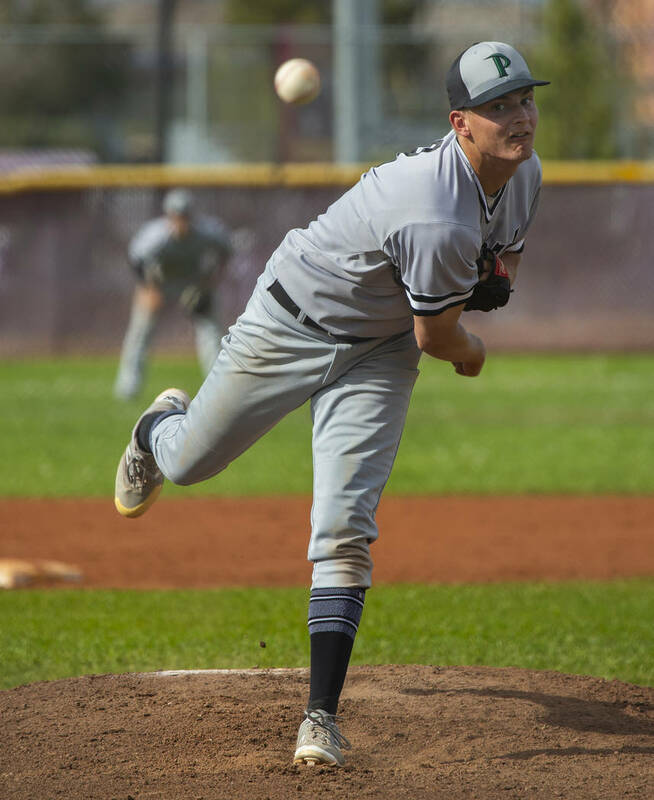 Christian Dijkman and Michael Rice combined on a two-hitter as host Faith Lutheran downed defending state champion Palo Verde, 4-1 in a key Mountain League game. 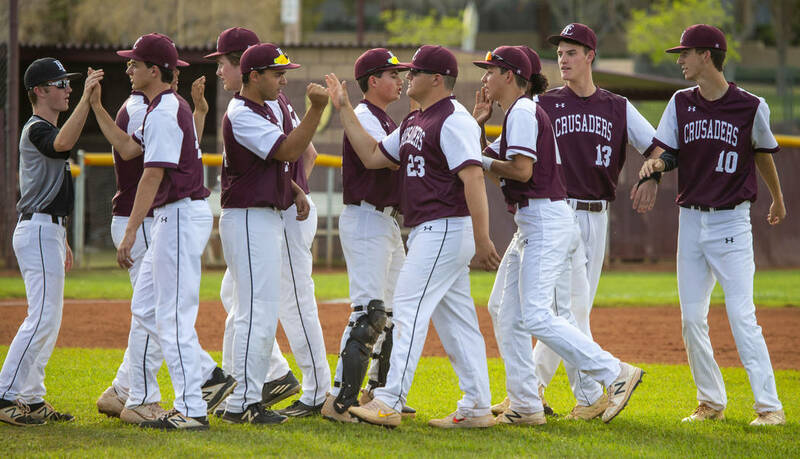 The Crusaders certainly didn’t take Monday’s game lightly. 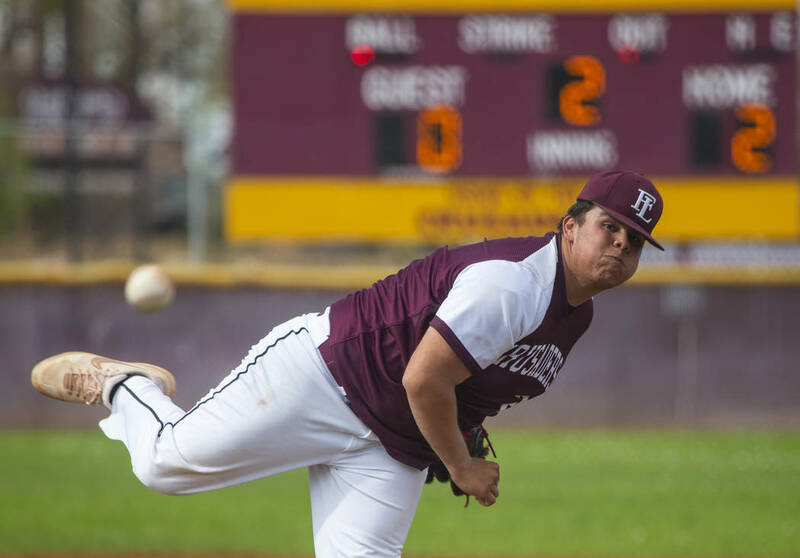 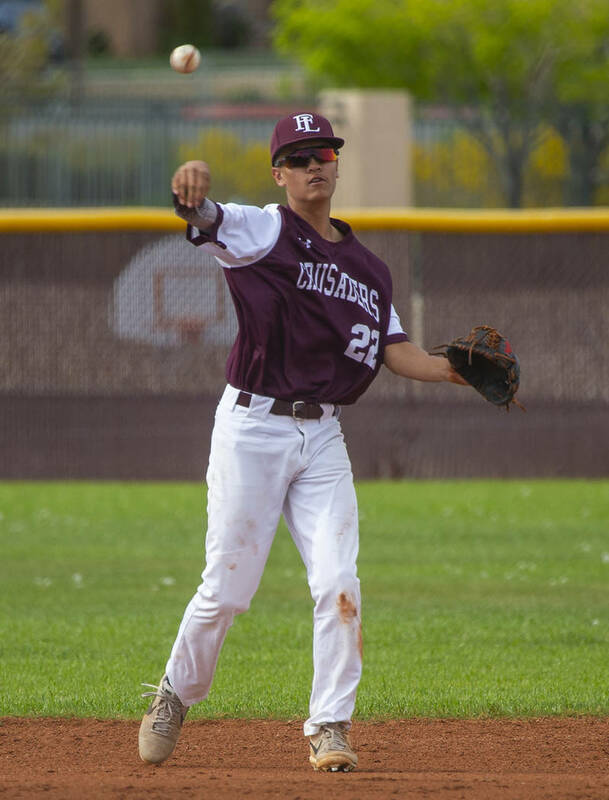 Christian Dijkman and Michael Rice combined on a two-hitter as host Faith Lutheran downed defending state champion Palo Verde 4-1 in a key Mountain League game. 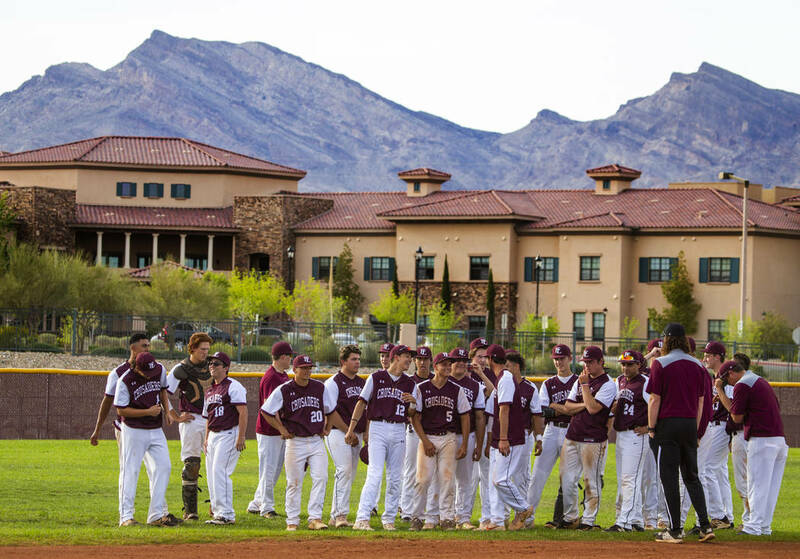 Faith Lutheran (11-5) moved into a three-way tie with Rancho and Palo Verde for first place in the Mountain League. 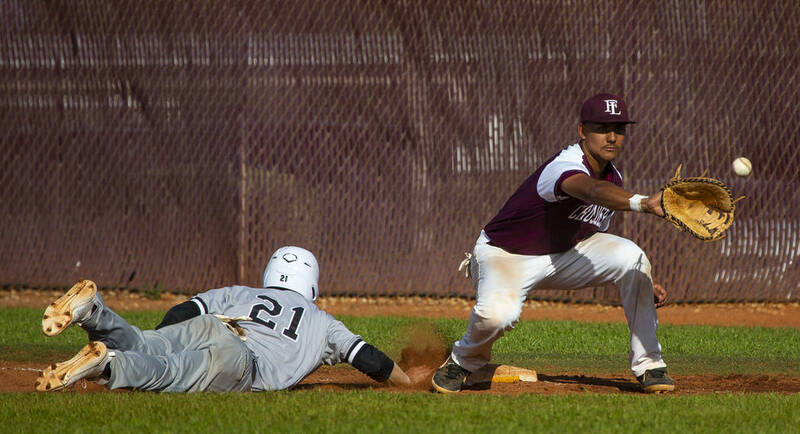 All three teams are 6-1 in league play and have six league games left. 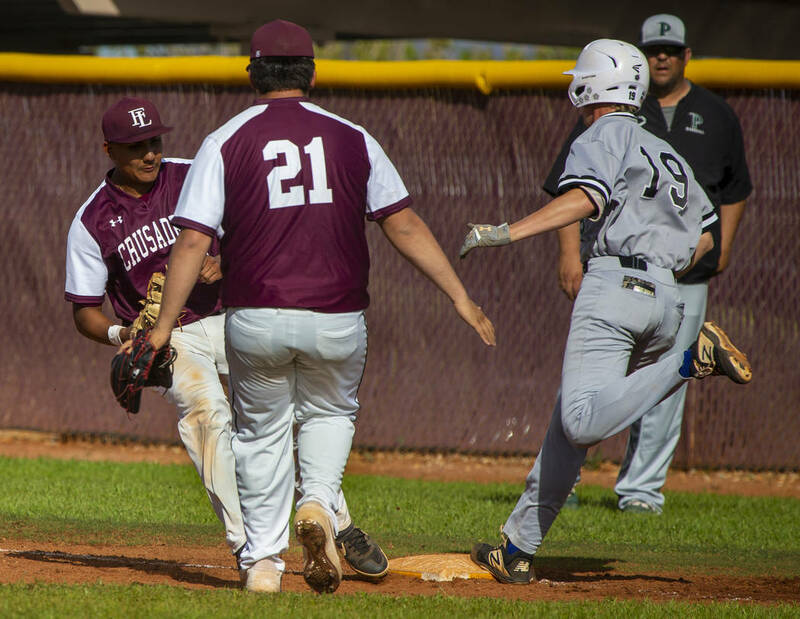 Making just his second start of the season, Dijkman used a four-pitch arsenal to silence the Panthers. 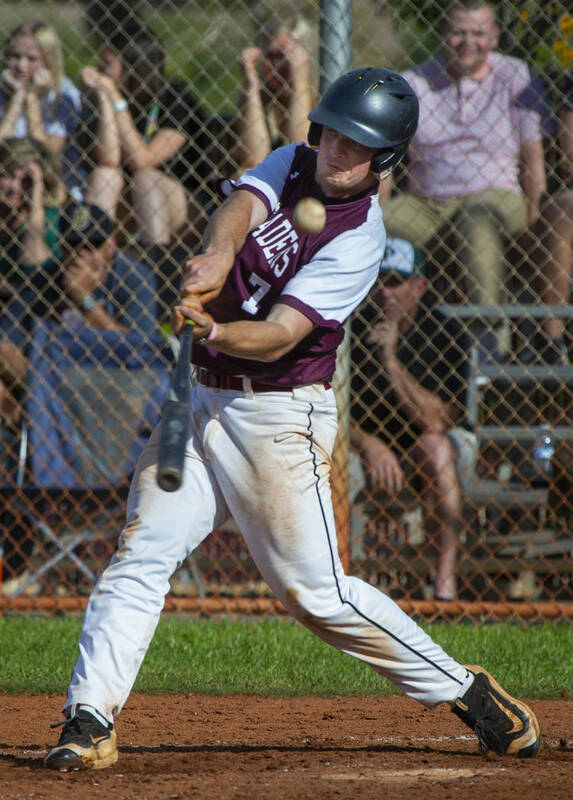 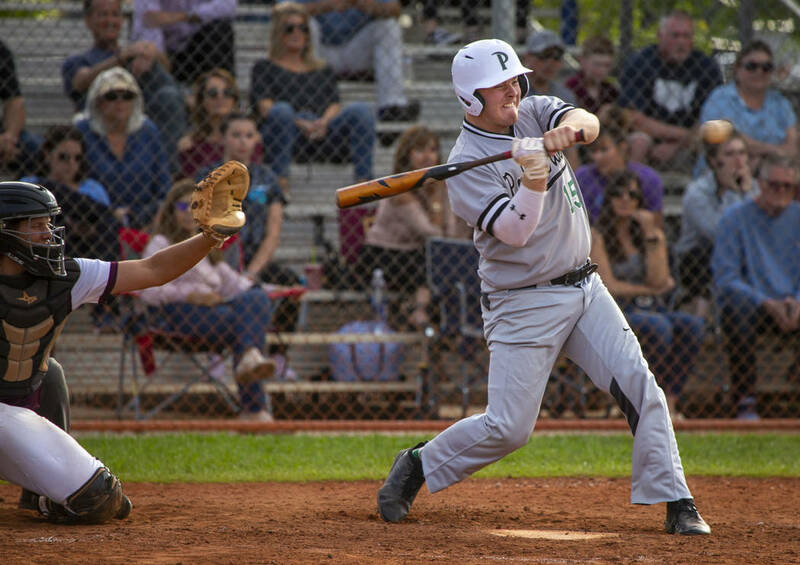 The 250-pound sophomore retired 10 of the first 11 batters and picked his spots to deliver off-speed pitches that kept the Panthers (16-3) off-balance. 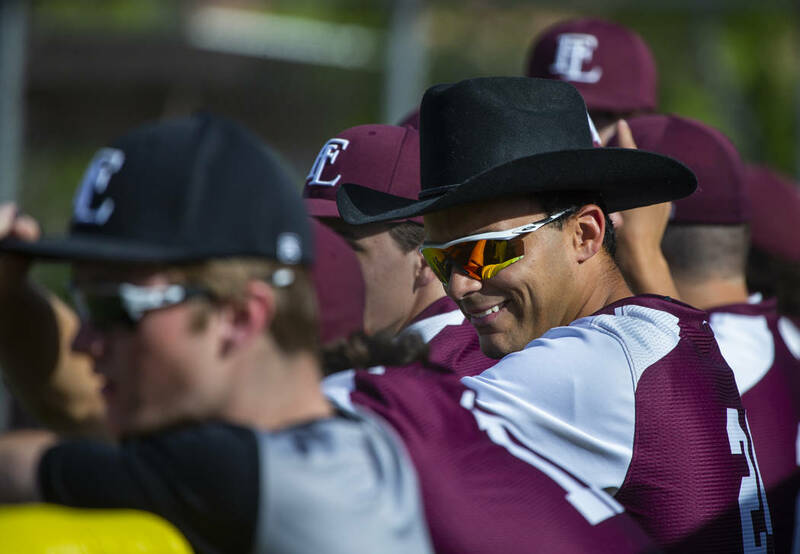 He allowed two hits, walked one and struck out three in five innings. 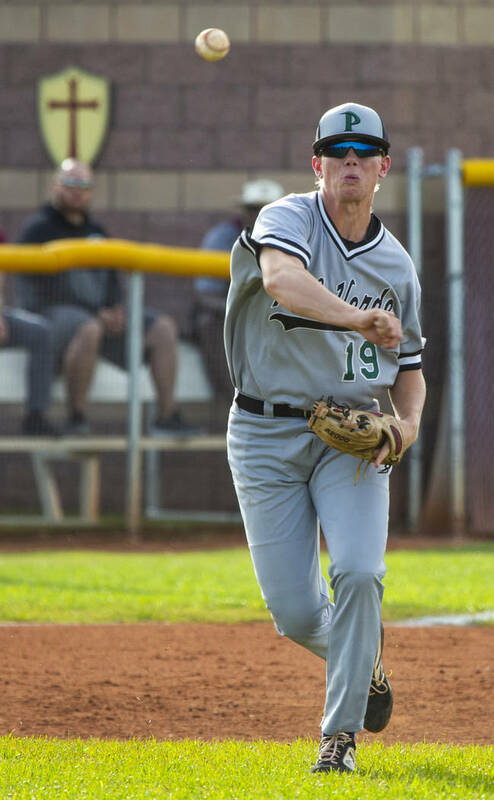 Rice pitched two perfect innings in relief. 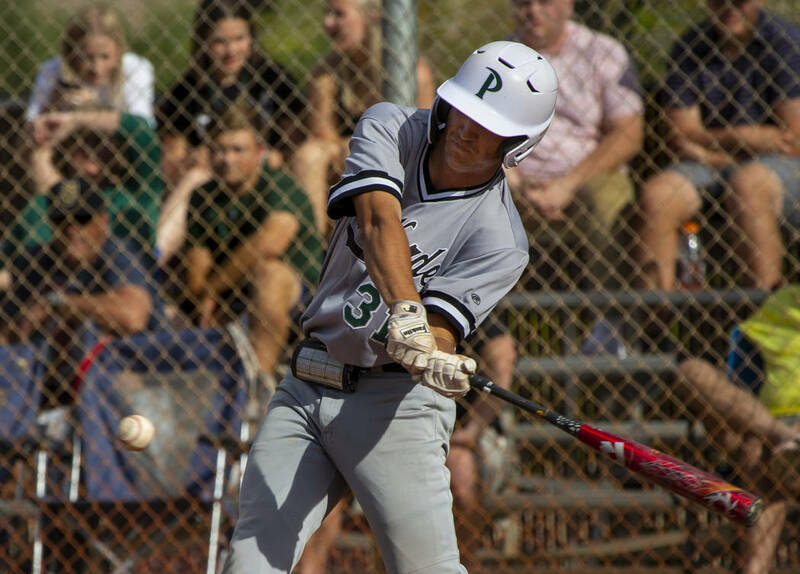 Jacob Ortega gave Dijkman a 2-0 lead in the bottom of the first inning when he drilled a Peyton Cole pitch well past the right-field wall, bringing home Parker Sylvester in the process. 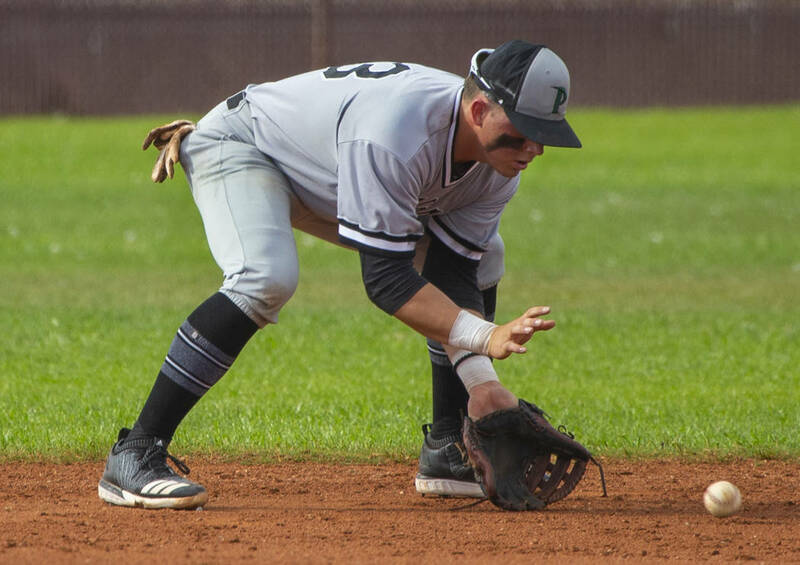 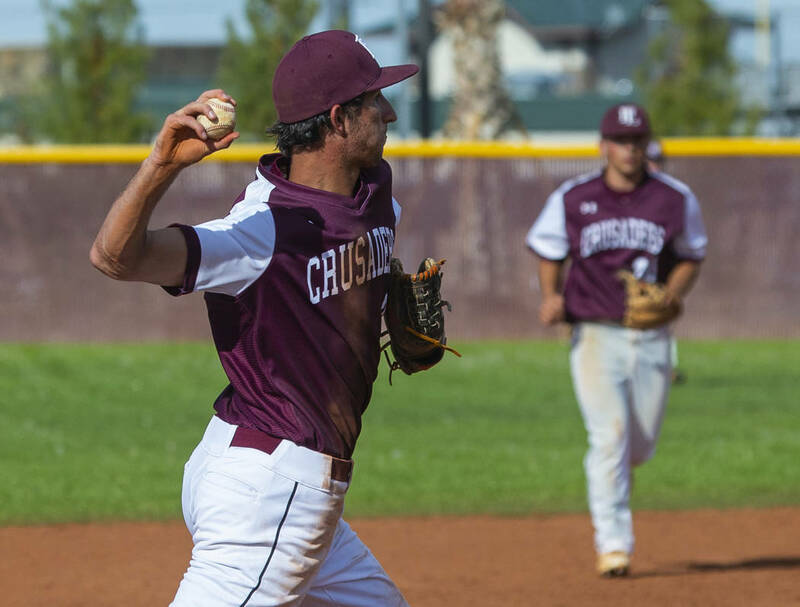 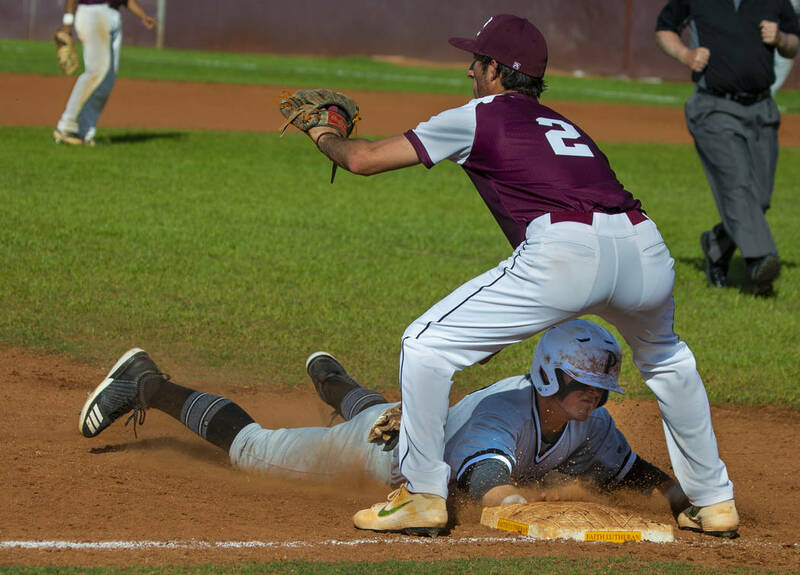 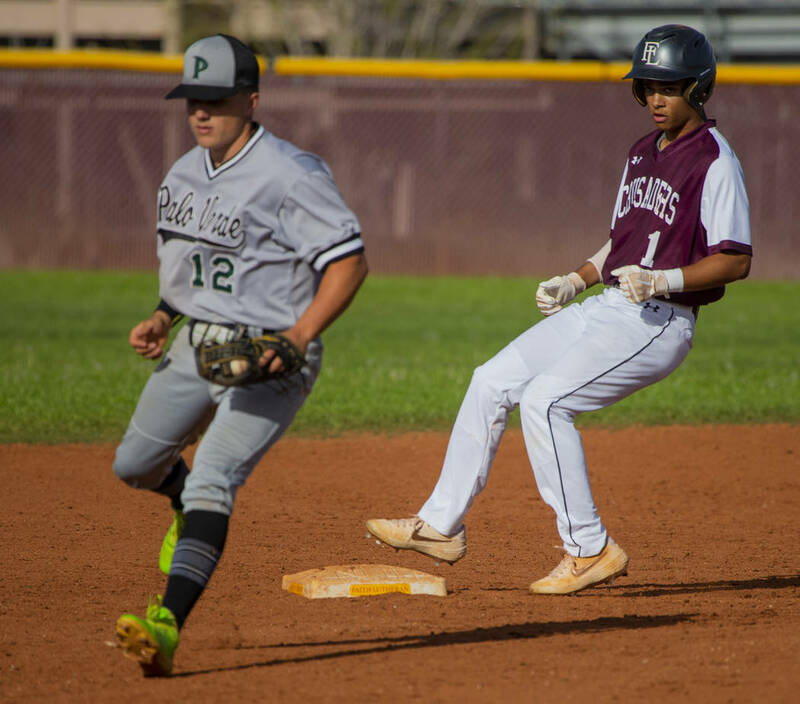 The Crusaders added runs in the third and fifth inning, and Palo Verde got its run in the fourth. 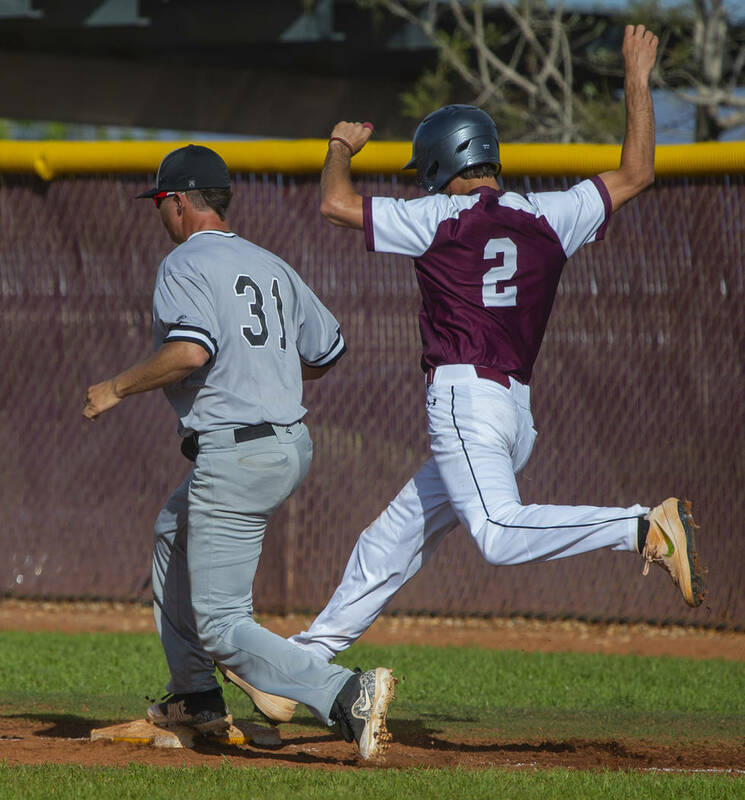 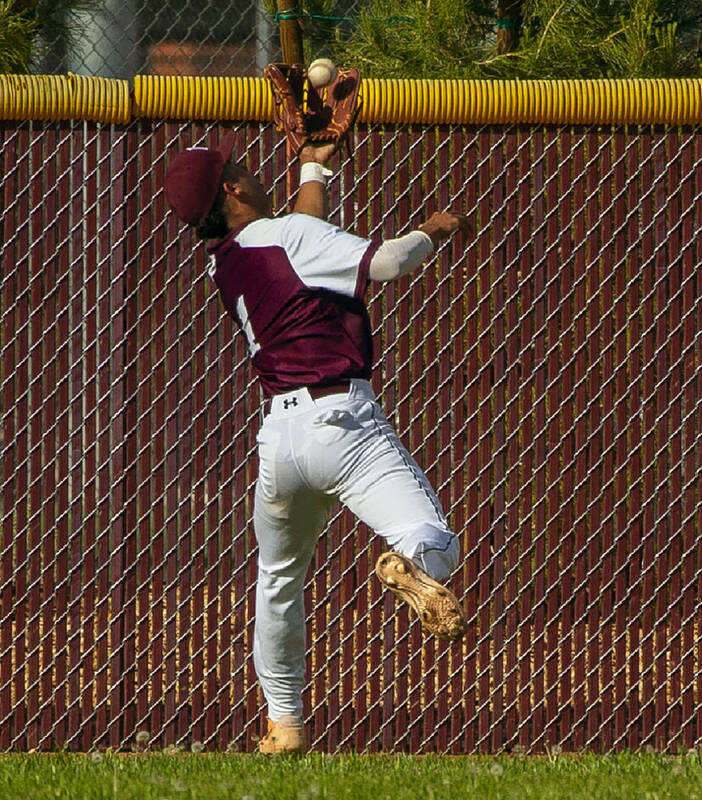 Sylvester was 2-for-3 with a double and a run scored, and Dylan Schafer scored twice for Faith Lutheran. 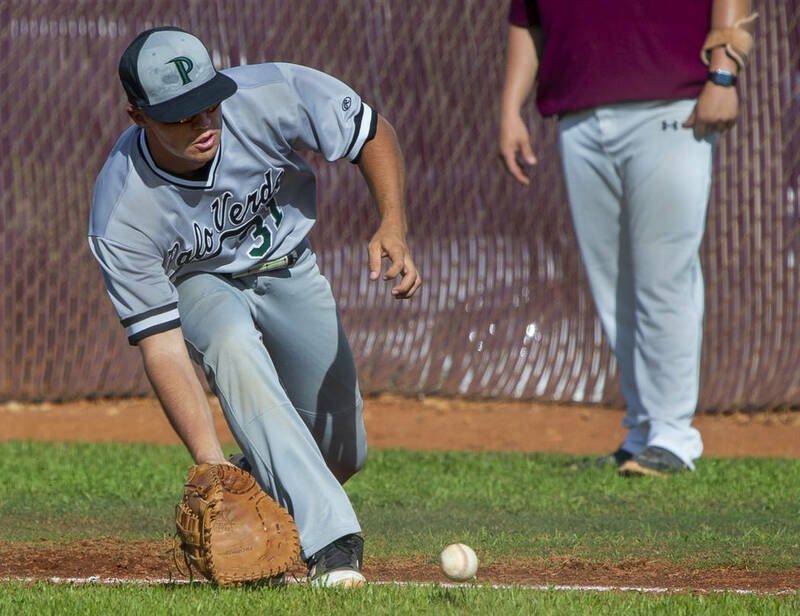 Josiah Cromwick was 2-for-3 with a run for Palo Verde.